Cinderella’s father decides that her daughter deserves to have a mother, and therefore h marries Lady Tremaine, who already has two daughters of her own from a previous marriage. 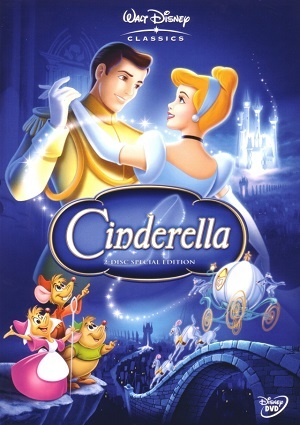 Once Cinderella’s father dies, there is nobody that protects her, and her stepsisters bully her repeatedly. Meanwhile, the King decides to organize a ball for his son, Prince Charming, as he is concerned that his son will never marry. All women are allowed to attend, but Cinderella stepsisters destroy her dress right before leaving the house. Luckily, Cinderella had someone looking after her, and she manages to attend the ball and meet Prince Charming, who falls in love with her.